Good evening everyone! Hope you have had a wicked Wednesday!! Half way through the week already - Big Smiles. 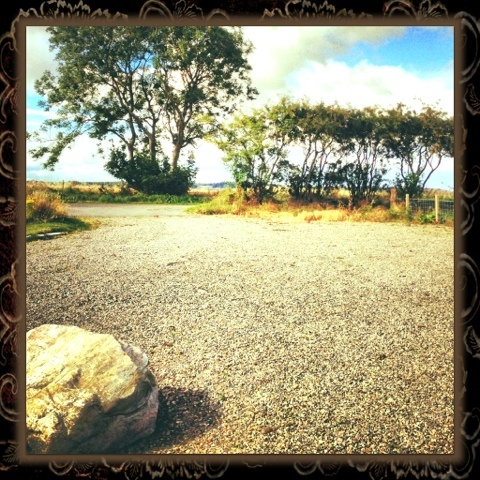 Well today was such a glorious day in Aberdeenshire, It truly felt like Autumn had arrived. It wasn't too warm and wasn't too cold, it felt so fresh and pure outside today - I absolutely adore days like this. These pictures are of the countryside beside where I live, I find them quite spectacular. 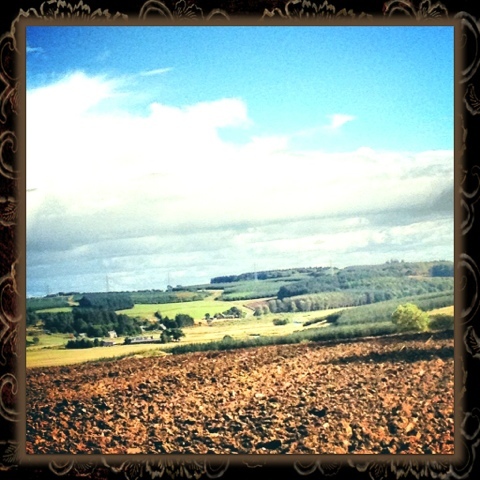 I love the country. I love the city too but home is home. 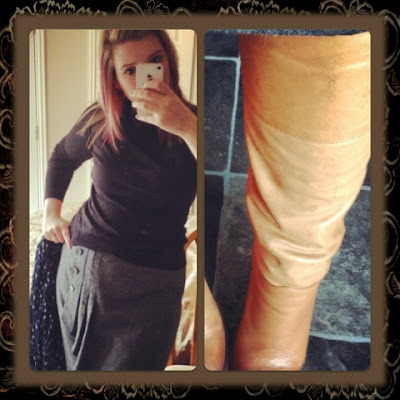 Today I decided to wear my favourite roll neck sweater from Coast, my jersey button detail skirt from Hobbs, Black tights and my fav Dune tan knee high boots which I have featured before. I wasn't going anywhere special but this this sort of combination is my favourite sort of Autumn outfit, you will probably be seeing quite a lot of different combinations of this over the coming months as we head into Winter - Did you know it is only 97 days until Christmas! :-) Started some shopping today buying bits and bobs for stocking fillers. I chose my floral scarf today which boasts a mixture of shades of grey, purple and pinks it goes with my new hair flashes.. I chose my Finesse Disco Bracelet - when I say mine, it is actually my mums, I lifted this 'by accident' earlier on... I will return it. 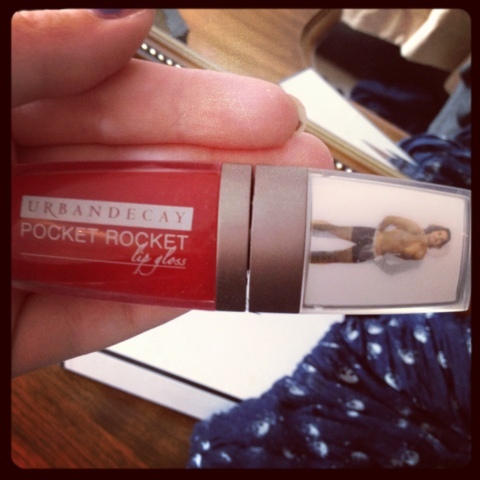 This is a holographic lid, when you flick your wrist he strips down to his underwear which is always a bonus, this lip gloss is gorgeous. Think there are 5 shades. It is vibrant and pretty on. 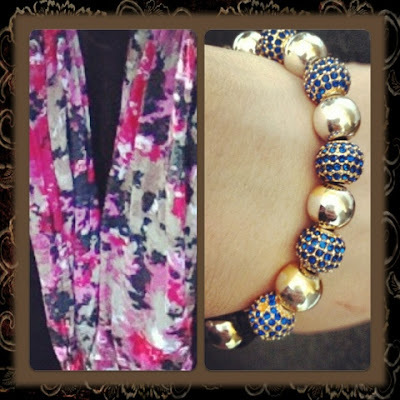 I bought this from Kimmi at 'What Kimmi did Next' she has a fab blog sale on, please check it out. Nail of the day today was No7 Stay Perfect in shade Salsa 93. 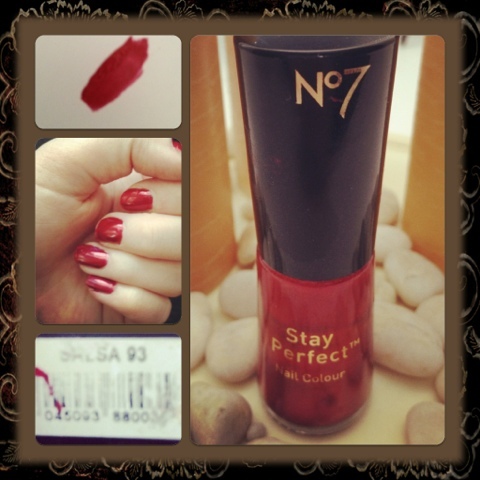 I adore this shade of red, its really classic. What is your favourite Autumn style?